Cindy Allison is a New Zealand Feldenkrais® practitioner completing a PhD on the Feldenkrais Method® and spinal cord injuries. For her PhD, she has developed a group program for people with spinal cord injury and examined the impact of the program. The program took place over 11 weeks, approximately 1½ hours per week. Participants were 10 adults with spinal cord injuries, eight of whom were wheelchair users. They were at least one year post injury with most being around 20 years post injury. Feedback on the program was positive. Participants noticed that movement became easier, their balance improved, their body awareness increased, they were using more of their body and they had gained confidence that further improvement could be possible. Participants enjoyed the program and described it as “really good”, “awesome”, “fantastic”, “a magical, mysterious, sort of revelatory experience”, “thought-provoking and educational” and as definitely having “real relevance”. This study is a pilot study and Cindy hopes that it can be used as a model to create future programs for disabled groups. 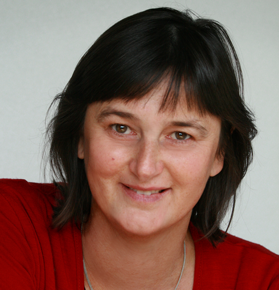 Cindy Allison lives in Christchurch, New Zealand, and is currently doing a PhD on the Feldenkrais Method and spinal cord injuries at the University of Canterbury. She has worked with a number of people with spinal cord injury and has run Awareness through Movement® classes, both privately and for the Christchurch City Council. Prior to training to become a Feldenkrais practitioner, Cindy worked in a range of fields including Equal Employment Opportunities, human resources, training, facilitation and computer programming. She first started practicing Feldenkrais as a client as she had fibromyalgia with RSI. This was characterized by significant chronic pain and loss of movement and body awareness. She had tried many different techniques–alternative and conventional–but found that most of what she tried relieved symptoms only, made no difference or made her worse. Both the effectiveness and the logic of the Feldenkrais Method impressed her so much that from 2000 to 2003 she trained to become a Feldenkrais practitioner. Not only does Feldenkrais relieve pain but it’s pleasurable and 20 years on it continues to improve her movement, stability and quality-of-life.